5 Must-Have Designer Spring Essentials – All for Under $100! Spring has sprung, so why is our wardrobe still wilted? It needs a pick-me-up, and fast. That’s why we’re here! We can’t be resorting to the same cheaply-made dress or our old high school soccer shorts every time the sun decides to show its face. We need to maintain our title as “best dressed” wherever we go, so we picked out five designer pieces that will wow – all for under $100! DVF wanted to create a piece that was essential for fall, but it ended up being the perfect touch of sophistication for spring, too! This sleeveless top may look simple from the front, but turn it around to find a gorgeous lace panel covering the entire back! Okay, we see you, DVF. The only part not covered by lace is the beautiful keyhole detail between the shoulder blades. This top is a full 60% off, so make sure to nab one for year-round style points! 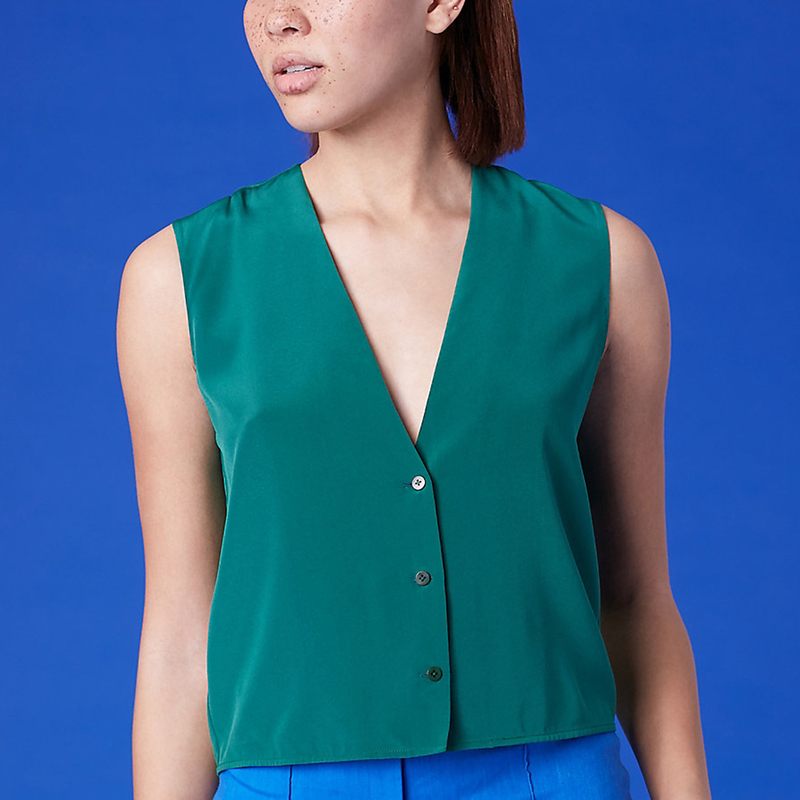 See it: Get the Sleeveless Shell Top (originally $198) in two colors for just $79 at Diane von Furstenberg! Yves Saint Laurent commissioned Castañer to create a pair of wedge espadrilles back in the ‘70s and they are still a leader in fashionable footwear today. These wedges have an ankle tie for a ballerina slipper effect, accompanied by a durable jute midsole and rubber outsole. They’re the perfect companion for a carefree dress or linen shorts, blending casual and classy into some seriously must-have shoes! 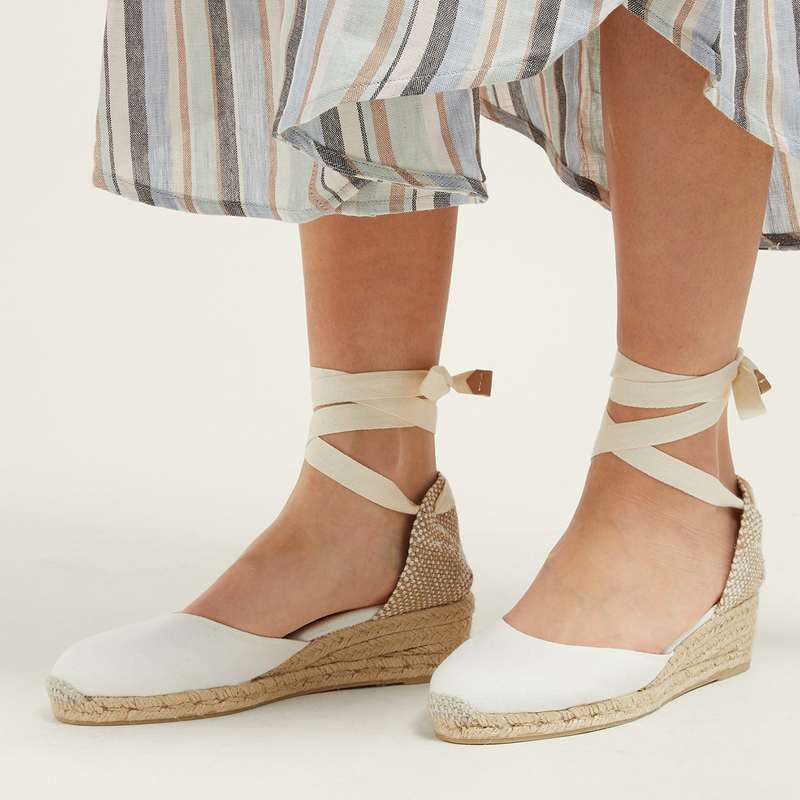 See it: Get the Castañer Carina 30 Canvas & Jute Espadrille Wedges in three colors for just $85 at Matches Fashion! Enter code NEW15 for 15% off your first order for a limited time on select brands! One-piece swimsuits aren’t just for ‘90s Baywatch babes and swim team athletes anymore. We may even see more one-pieces than bikinis at the beach and pool this year! We certainly hope we do. This DVF swimsuit is the way to go, with a flattering belt at the natural waist and a watermelon color even Barbie would be jealous of! And just check out that sale! Yeah, we’re sold. See it: Get the Belted Cheeky One Piece (originally $228) for just $91 at Diane von Furstenberg! We can’t get over these stunning Italian aviators! The thicker, tortoiseshell frame puts a twist on classic aviators, but don’t worry, because the metal we’d expect to see still makes an appearance at the arms. These sunglasses would look amazing on seriously any face shape from oval, to heart, to round. We just can’t decide if we want the black or brown! Both? Both. 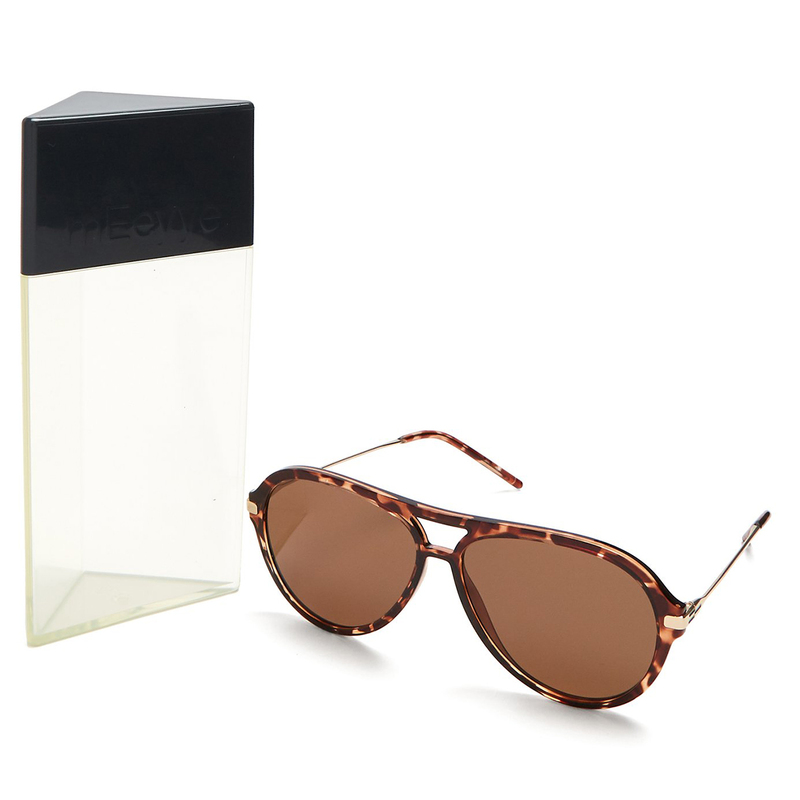 See it: Get the MEeyye Symi Tortoiseshell Sunglasses in two colors (originally $72) for just $43 at Matches Fashion! Enter code NEW15 for 15% off your first order for a limited time on select brands! This 100% silk top has a V-neckline and a cropped fit for springtime vibes to last throughout the season and into the summer. The three button closure is adorable and while we love this top on its own, it would also be adorable in the colder weather layered on top of a turtleneck, too. Plus, that pine green color is one of the prettiest we’ve ever seen! See it: Get the Sleeveless V-Neck Shirt (originally $198) in two colors for just $79 at Diane von Furstenberg! Looking for something else? Check out more from Diane von Furstenberg here and Matches Fashion here!